Choose a product to learn more. 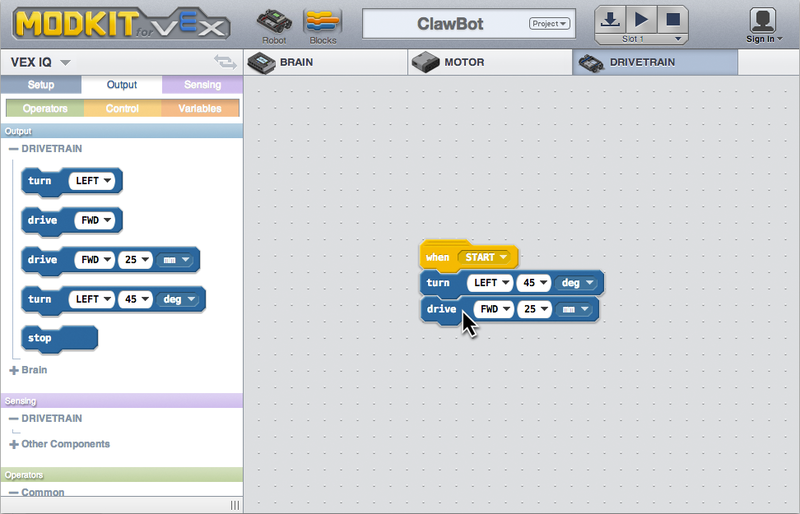 See how Modkit for VEX can make programming your VEX IQ™ robots easy and fast. Modkit Micro brings programming real world things closer to your fingers, we're working a new release.